The election may still be far away but it seems the battle has already begun. 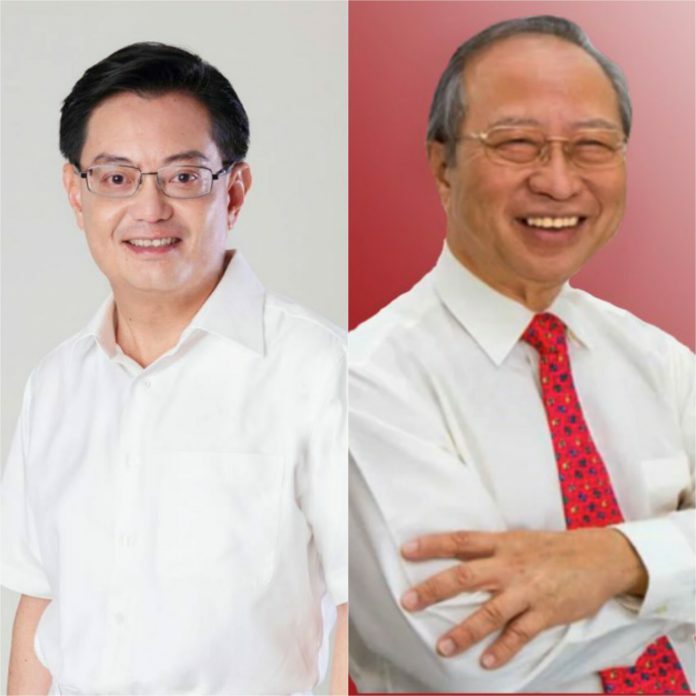 Finance Minister Heng Swee Keat responded to Tan Cheng Bock’s return to politics saying, “Singaporeans will need to decide who can better serve them”. The finance minister was the first one from the People’s Action Party (PAP) to react on Tan Cheng Bock, a former PAP MP for 26 years who recently formed Progress Singapore Party. In November last year, he was appointed as PAP’s first assistant secretary-general, a position traditionally held by a deputy prime minister. Prime Minister Lee Hsien Long said during his 2019 New Year message that having Heng as a frontrunner to be the next prime minister is a “good outcome” and that it gives Singaporeans and foreigners confidence that Singapore will be in good hands over the long term. The new party on the block, Progress Singapore Party (PSP) is a line-up of Dr Tan and 11 other “like-minded Singaporeans”, some of who are former cadres of the ruling PAP. No names of those politicians were given yet to the public. The party’s registration was applied last Jan 16 to the Registry of Societies. It would take an average of two months for the processing of a registration application. Hence, if approved PSP would be the 12th political party of the Republic. A retired doctor, Tan, 78, was the MP of Ayer Rajah Single-Member Constituency (SMC) between 1980 and 2006. He resigned from PAP in 2011 after contesting the four-way presidential election and eventually lost to PAP’s bet Tony Tan Keng Yam by just 7,382 votes. He made headlines back in March 2016 after announcing his intention to run again. However, it was reserved for Malay candidates only. He filed a legal protest on this decision but the Court of Appeal dismissed it. When the news broke out that Dr Tan was coming back with PSP, the oppositions have responded, congratulating him, extending their messages of hope, and thanking him for joining the opposition camp. Dr Tan was quoted saying that his party wanted to work with the other opposition parties for the good of Singapore. He emphasized the aim of his party, that is, to “build a compassionate and truly democratic Singapore where good values and people matter”. There were no definite agreements yet if a possible opposition coalition to be led by Dr Tan would be realized. It is a small world indeed. The PSP leader had an encounter with a politician from PAP, when he rubbed elbow with Minister for Home Affairs and Law Mr K Shanmugam last Jan 19 at Chong Pang hawker centre and coffee shops.